Part of a series of races that are run throughout the year here along the woodland trails at the U.S. National Whitewater Center just outside Charlotte, N.C., the Wine Vine Trail Race makes its annual running on the last weekend of September with a half marathon and a 5K that include stretches through the woods here along the Catawba River. 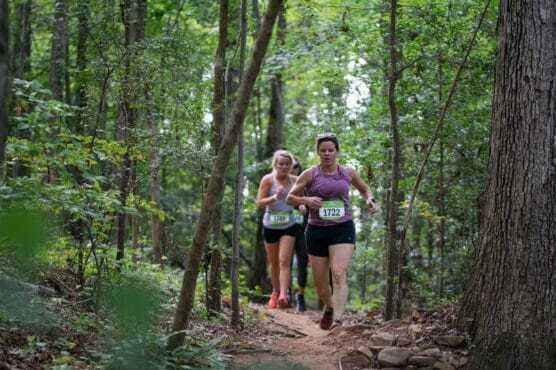 The race follows an out-and-back course that starts and finishes at the center’s headquarters, and from there heads out onto the trails just north of the center, on the land between the Catawba and Long Creek. Runners in the half marathon and 5K share the same course for the first half-mile or so, then split off as they near Long Creek. 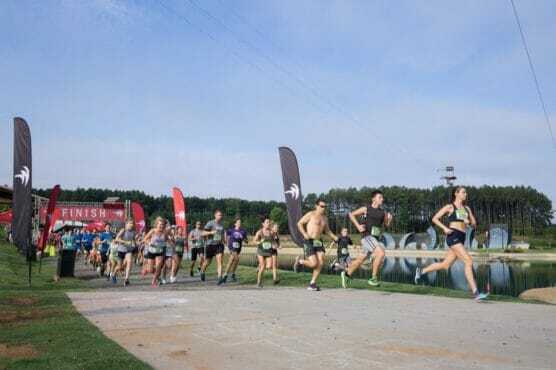 The opening stretches of the race take runners around the whitewater training areas, the man-made rapids that also serves as the official Olympic training center for whitewater slalom racing. After that, the half marathon keeps heading south along the river and then deeper into the woods as runners head back toward the center, with stretches around lakes, ponds and through the wilderness here. After the race, runners can relax and enjoy a well-deserved siesta at the Uncorked wine tasting and live music festival, which starts at 1:00 PM after the race. Located in the Piedmont region of central southern North Carolina, just miles from the border with South Carolina, Charlotte typically September temperatures that average between 63ºF and 82ºF, while rainfall amounts average just over 3.8 inches for the month, making it the city’s second-wettest month of the year. See the Wild Vine Trail Race Half Marathon course map here. To reserve your spot in the 2019 running of Charlotte’s Wine Vine Trail Race Half Marathon or 5K, register online at the event website here. 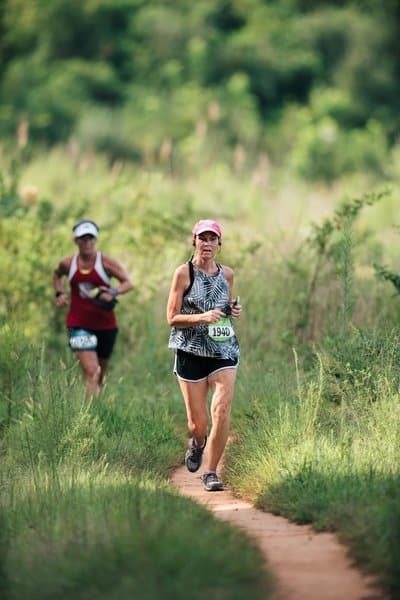 Ever run in the Wild Vine Trail Half Marathon? Share your impressions here, as well as anything you learned about the race that you think other runners/walkers should know. I am so upset…I am trying to register for the 5K on Sept. 26th…I have had a lot of trouble with the sign up page….I got to the end several times and put in my info on our Visa card. I received no response from that page that says Thank you for your payment or anything that indicated I had completed the registration. I did this several times…I am just hoping that I did not register and pay several times for my husband and I. Could you check and see if there are any indications our registration went through? If I paid too many times can I get that money back? I have been dealing with this for a few hours and extremely frustrated. Where do the proceeds go for this race?